The assassination of Andrey Karlov, a Russian Ambassador in Ankara, is one more event in a series of absurd developments in, or having to do with the Middle East. The Ambassador’s murder was intended as a message, an act of revenge, or simply to cause some reaction to the Syrian army’s military victory in Aleppo. The victim was a professional diplomat who personally could not have had any role in defining the policies of the Russian Federation in Syria or Turkish participation in that war. While the murder and the assassin’s speech were headlines across the world, given recent developments in Syria, this crime will absurdly enough not be of interest to the international public for long. Ambassador Karlov, a career diplomat for 40 years, was an easy target. His murder did not require extensive preparation, but only the assassin’s willingness to go through with the crime and possibly lose his own in the process for the pursuit of some ‘higher’ goal. The Ambassador was perceived as a symbol of Russian participation in the Syrian war, and his death as a warning to President Putin. This warning will most certainly not, however, change Russia’s policies in Syria and may only serve to increase its involvement in an attempt to militarily end the conflict as soon as possible. 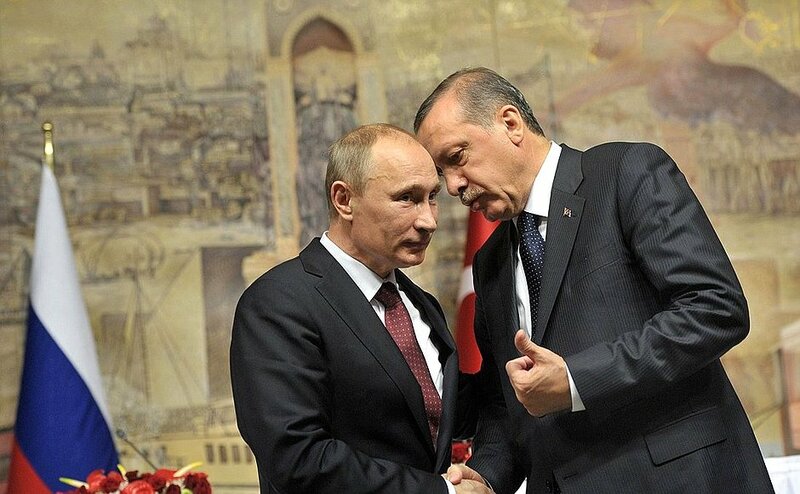 The assassination is also unlikely to have any effect on Russian-Turkish relations that have improved as of late. It will also certainly not improve the image of those who lost the battle for Aleppo. The Ambassador was an innocent victim of a terrible crime. Despite its well-developed security apparatus, Turkey failed to adequately secure the Ambassador who was not provided with separate bodyguards at the location of his death, the opening of a photography exhibit. As seems to be the case in this instance, the level of attention given to an individual ambassador in a foreign country often results in underestimating the actual threat against that person and the creation of false sense of security. Ambassador Karlov’s death is also a catastrophe for the diplomatic profession that presumes freedom of movement and very much being in the public eye of the host country. The media have described the assassin as an active Turkish policeman who was off duty at the time. He was part of a strong Turkish security system which has just recently survived an attempted coup d’état and which is confronting a number of series of challenges on a daily basis. With approximately two million refugees, mostly from Syria, Turkey is dealing with not only the economic, but also the security consequences of this humanitarian disaster which would be too much to bear for most European countries. Whether one agrees with the methods used by President Erdoğan within the country is an altogether a different question. Based on initial reactions, it is clear that Moscow understands the status quo in the broader Middle East region and has to accept certain sacrifices in this regard. Turkey, however, will have to thoroughly investigate and clarify the circumstances behind the assassination regardless of whether it was actually able to prevent it. By agreeing to his deployment in the country, Turkey assumed the responsibility for Ambassador Karlov’s safety and security. If we add to this the fact that the assassin was a Turkish policeman, then the security challenge is even greater and points to a systemic failure, as opposed to mere omissions by security agents who were present. The length of the assassin’s “speech” after having killed the Ambassador also reveals that there was no particular security detail in the gallery based on a clearly inaccurate assessment. There have previously been many assassinations of high-ranking state officials by members of the security services. For example, in 1984, Indira Ghandi, Prime Minister of India, was killed by her bodyguards. In 2003, Serbian Prime Minister Zoran Đinđić was assassinated by members of the special police forces. Given the importance of these two political figures, the consequences for the two countries were severe. In the Ambassador’s case, the assassination could be perceived as a sign of desperation and, given the relative ease the assassin had in completing the job, the glaring omissions of a well-developed security system such as Turkey’s. This event will not have any particular consequences except for a possible overhaul of the Turkish security services, including through investigations and arrests. Turkey cannot afford for its foreign policy to be derailed by such events at the current time. While Syria remains a problem, particularly given the losses suffered by Turkey’s allies in Aleppo, the country must focus on protecting other, more direct, national interests – including dealing with Islamic State, the Kurdish question, Iran’s influence in the neighborhood, and the overall security of its border with Syria. While this focus will include continuing to improve its relations with Russia, Ambassador Karlov will be replaced by a new diplomat with probably a significantly greater number of bodyguards. Turquia, Rússia e Irão: O triunvirato capaz de salvar a Síria?